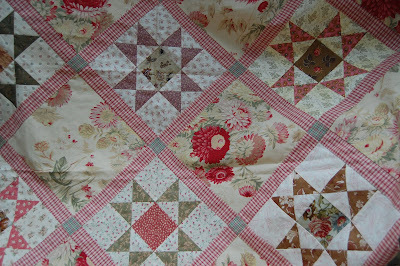 Once in a while, there comes a book that literally changes your life.... As a quilter, the book that made all the difference to me was "Blended Quilts", featuring a collection of quilts using a blended technique reminiscent of the 1800's. From that moment on, I was smitten... I started including a visit to In The Beginning (a now closed quilt store in Seattle, Wa) everytime I went up to Seattle. 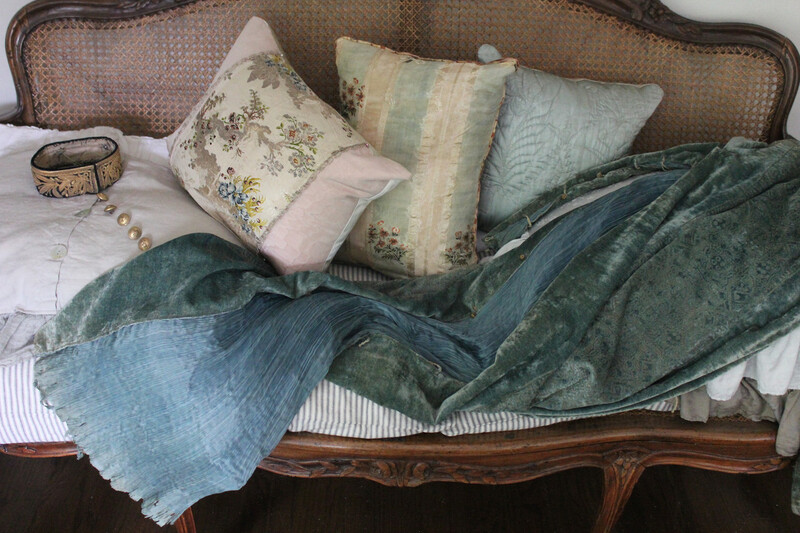 I loved their extensive collection of japanese Yuwa fabrics and the lovely vintage reproduction fabrics by American Folk and Fabric. 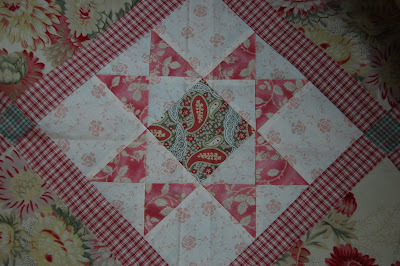 I built up a significant stash, and I started making blended quilts. Some I finished, some are still in progress... Some yet are waiting to be created!! 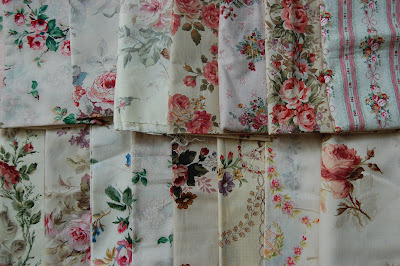 In a blended quilt, the use of fabrics that blend together make the blocks sometimes less perceptible, and the quilt inherits a flow that is unique and harmonious. "Blended Quilts" was followed by "Blended Quilts II" and "Blended Wall Quilts". My love for the romantic look found the answer in these books... I will never go back to anything else!! 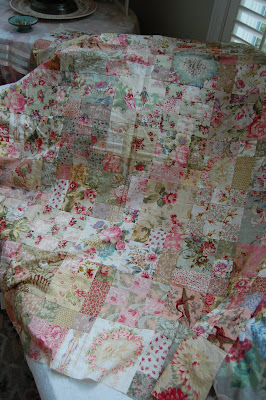 I like the look of these quilts.....and loved looking at your yummy fabrics! Wow, beautiful, beautiful, beautiful. 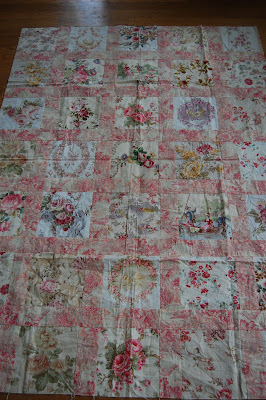 Your quilts and stash are the most beautiful I ever saw. 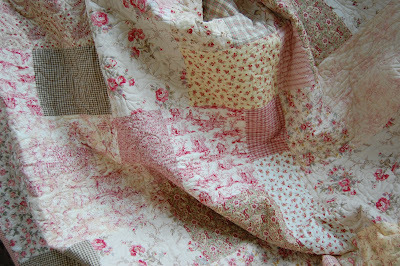 I have the book Blended quilts II and I love looking into it now and then. I must see if I can buy the other ones from the two ladies too. 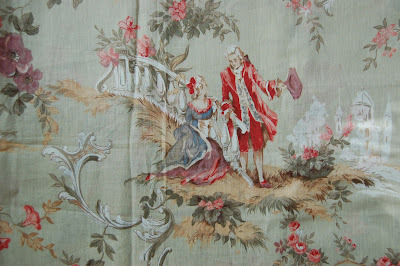 And maybe I can find some of that beautiful fabric too. 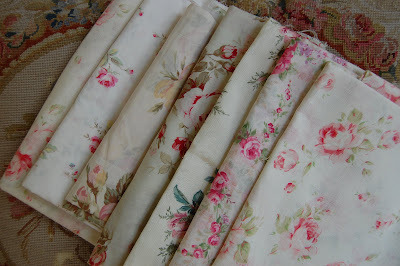 Fabulous quilts and beautiful fabrics...my mother in law is a quilter and would love these blended quilts...Thank you for sharing! These are wonderful. 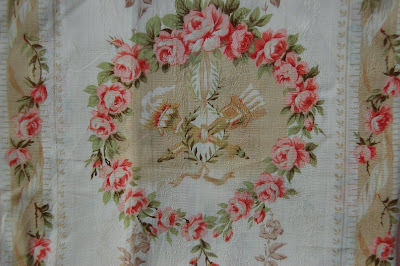 I have admired fabrics and quilts which look like yours before, and not known much of the history or techniques behind them. Thanks very much for what I've learned (and loved) today! 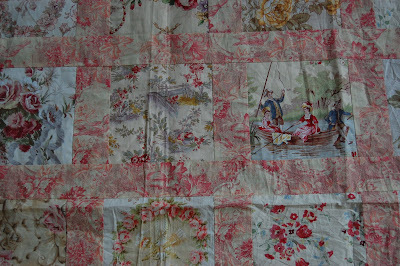 Personally I don't find quilts to be very appealing, but this puts quilting in a new perspective, I'll say! Now-How do you find time for all of this????? 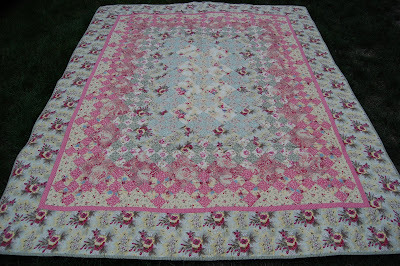 I also love, love the blended quilt looks & yours are just WONDERFUL!! je craque devant ces tissus!!! 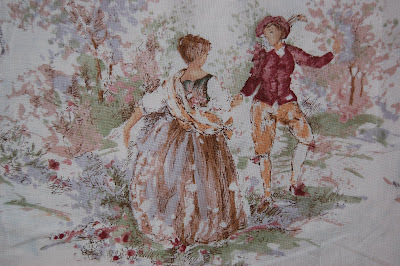 I love your choice of fabrics. I will see some of these next year at Portland Expo I hope. You can't hear me squealing in delight, but these are little works of art! my jaw hit the floor. 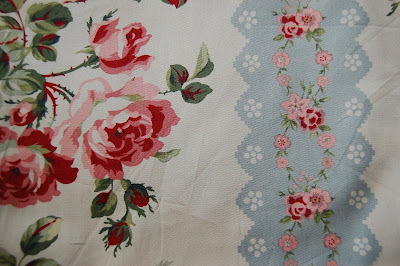 your quilts are just lovely and your fabric swatches are gorgeous. once again....a wonderful post. enjoy your book. 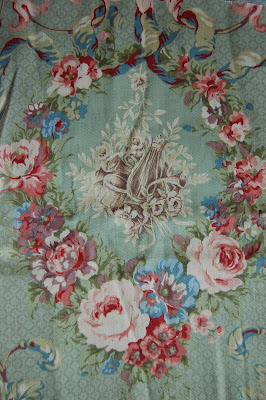 what beautiful quilts and fabrics. 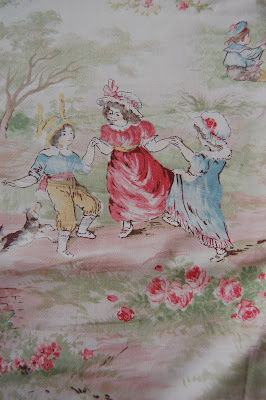 I love them all and fall into a vintagey half-dreaming state by simply looking at them. I wish i owned them! You have a great talents. congrats on your talent, blog and pics. do not forget to let me know you hav been there by leaving a comments. Love reading comments. 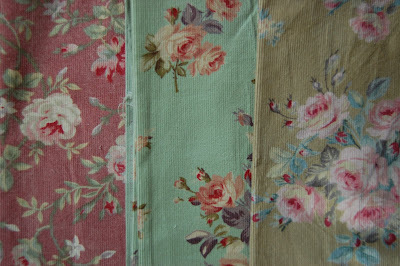 Those fabrics are gorgeous! 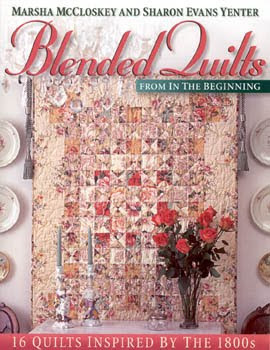 I am a quilter, but haven't read Blended Quilts - you can bet I will get a copy now! 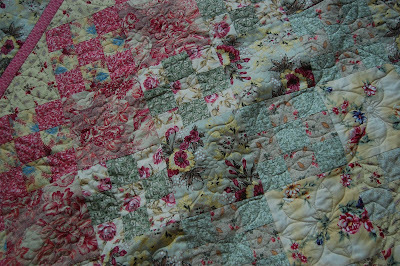 Thank you for sharing your beautiful romantic blended quilts. 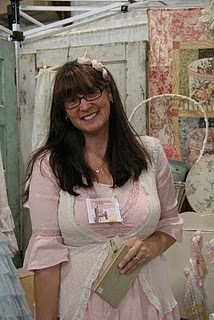 I recently attended the Dallas Quilt show and purchased the new Blended Quilts book and a few fabrics. 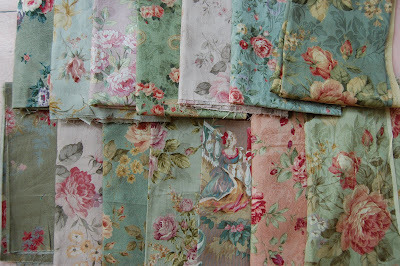 In the past 3 wks I have been browsing and ordering fabrics to compile a stash before starting into the design process. 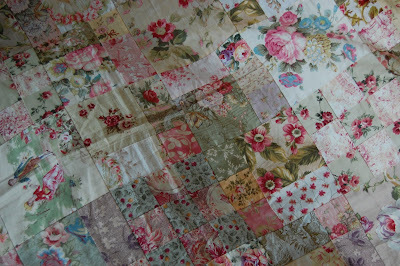 Your quilts are such an inspiration for me, almost left me breathless! I will follow your blog and have put you into my favorites so I can refer to your pics. 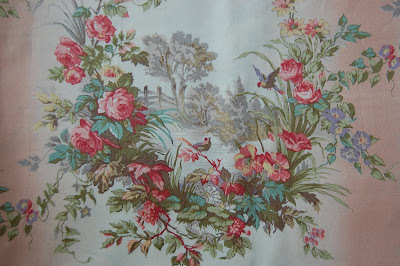 Your quilt & fabrics are just beautiful!